Our Advisors average over 20 years experience. They have advanced education, broad range credentials, and diverse areas of expertise. Most importantly, they share a desire to make a difference and to earn our clients’ trust and confidence. As a team we provide technical skills and deliver them through a Personal Advisor who will give you the care and attention you deserve. 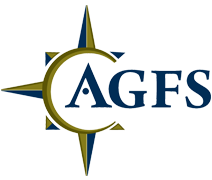 AGFS was founded with the goal of assisting our clients in every aspect of their financial lives. We’ve provided the most personal service available, thus we believe, earning a reputation for excellence in our industry. For each of our clients we strive to help create financial stability and to provide financial independence. Our staff consists of experienced professionals with a "hands on" approach to financial guidance. Not only will you find our team members knowledgeable, but you will also discover that our staff cares about helping make your dreams a reality. As your Financial Professionals, we will do everything in our power to keep you focused on where you want to go, advise you on how to get there, and continually remind you of the importance of maintaining a disciplined approach to realizing your dreams. Wealth management is a very personal endeavor. To serve you well, we must know you well. We currently have client relationships that span four generations, and we look forward to making it more. We know we can only earn that right by putting clients’ interests first, providing superior service, remaining accessible and having a business structure that will out last us individually. We want our clients to always feel like they have friends in the business. We don’t believe in one-size-fits all solutions. We custom tailor our services to individual needs to provide the right service and a strong value. Being independent means that we work for our clients, not a corporate employer. You have our commitment that you will never incur any charge without your prior knowledge and agreement. So, please, give us a call. A small investment of time is the first step in building your financial future.